Home » News » etsy » Etsy Shop is Open for Business! 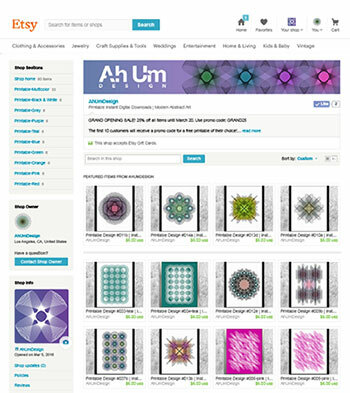 I’m thrilled to announce the opening of my Etsy shop – https://www.etsy.com/shop/AhUmDesign. And to kick things off, I’ve got a Grand Opening Sale until March 20! And the first 10 customers will receive a free printable of their choice.